Comments for Purchase Manos del Uruguay Yarn in Montevideo? I loved our trip to Uruguay and I bought some yarn, but I am short several skeins. Does anyone ship to the US? I have the color and lot number. I just went to the Manos store at Punta Carretas. They don't carry yarn. Just finished knitted items and other handicraft items like leather, wood. The clerk told me to go to the Centro location, which closes at 7pm. Join in and write your own page! It's easy to do. How? 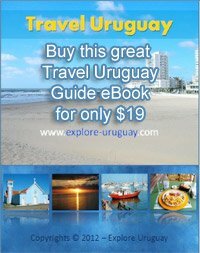 Simply click here to return to Uruguay Travel Tips. Return to Purchase Manos del Uruguay Yarn in Montevideo?.